Edvina has built a custom platform based on the EBU Audio Contribution over IP standards. The platform is used for live broadcast from where the action is – in stadiums, on the road, from events outside the radio house. Using mobile, Internet, satellite and other IP-based connections the journalists can broadcast from anywhere, anytime. 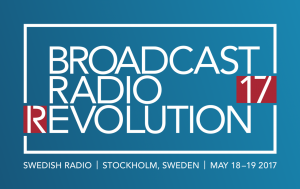 Edvina’s Olle E. Johansson will speak about these platforms on the conference Broadcast Radio (R)Evolution 2017 in Stockholm, Sweden May 18 and 19th, organised by Sveriges Radio. The platform is built using Kamailio – the Open Source SIP server.